Highland Park is the neighborhood I call home. It’s an eclectic little mix of things and who doesn’t love a little mix of things? I live around the corner from this delicious little Vietnamese-American diner type place called Good Girl Dinette. Go to there. Eat the vegetarian/vegan porridge. And with your porridge also eat everything else. So good. 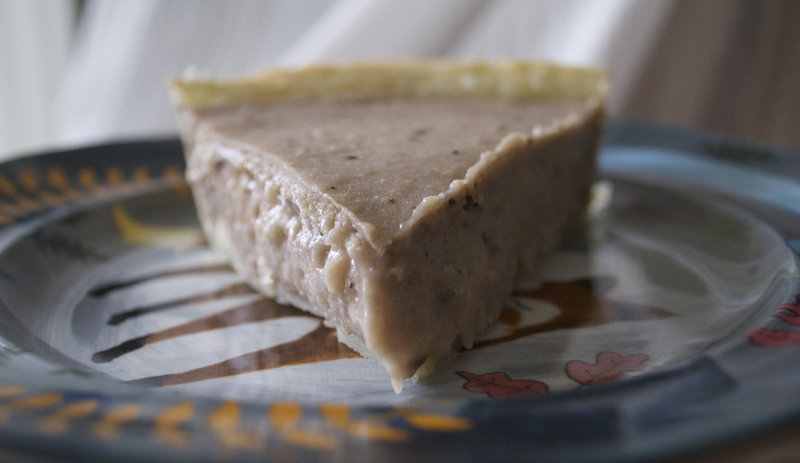 Last Christmas they sold Earl Grey-Taro pies which, sadly, were not vegan. Too good of an idea to pass up, I made this vegan version inspired by those geniuses at Good Girl. Note: I’ll be making this again with better photos and topped with a whipped coconut cream. 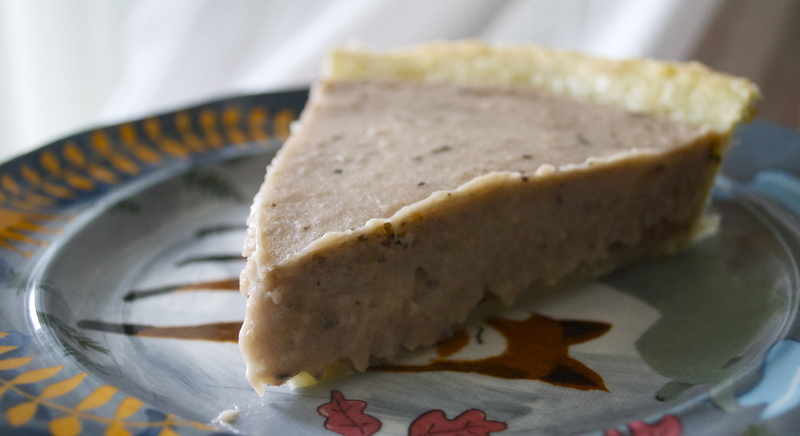 This pie was meant to be topped with such things and why it escaped me the first go around….Who’s to say? 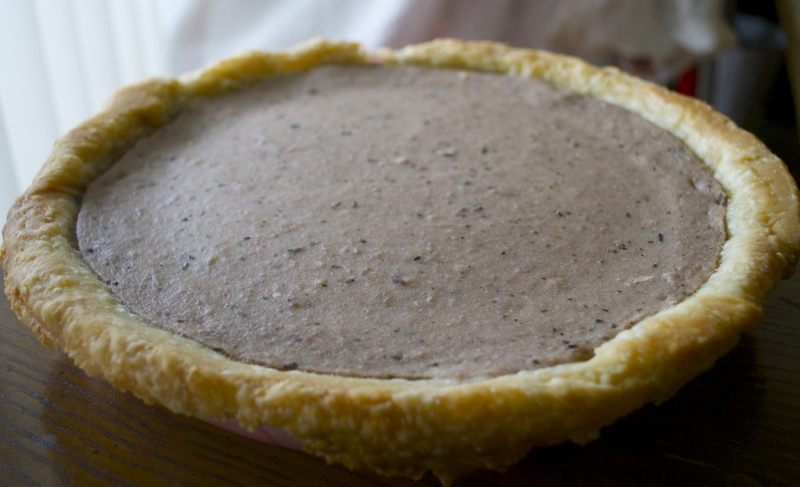 1 recipe for single pie crust. Use your fav dudes. Blind bake that bad boy with pie weights and move on to the filling. Preheat oven to 350°F. In a small saucepan, heat the coconut milk over medium heat. Bring it to a light simmer and remove it from the heat. Steep the tea for a few minutes and remove. Next, blend all of the ingredients together in a Vitamix or food processor. Pour the filling into the prepared crust and bake about 20-25 min until set. For coconut whipped cream, I really like this recipe by Ashlae from Oh, Ladycakes. ← Throwback Thursday: Thanksgiving 2013.